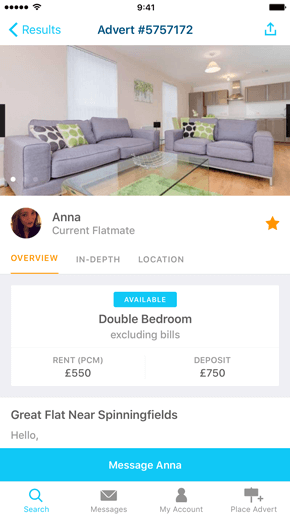 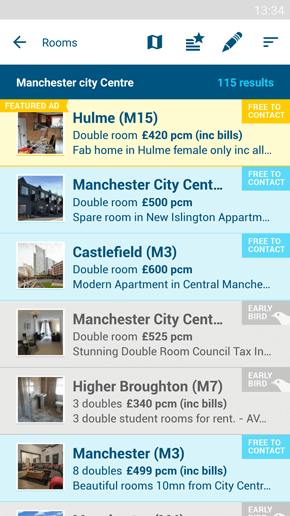 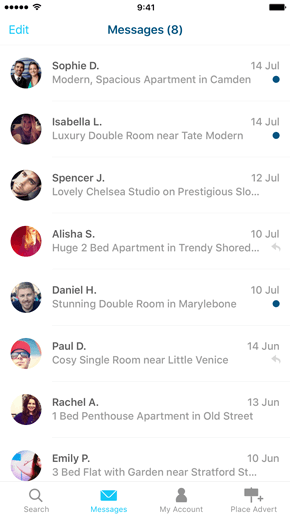 The free Android and iPhone app from the UK's number 1 flatshare website, SpareRoom.co.uk, is the easiest way to find a flatshare or flatmate on-the-go. 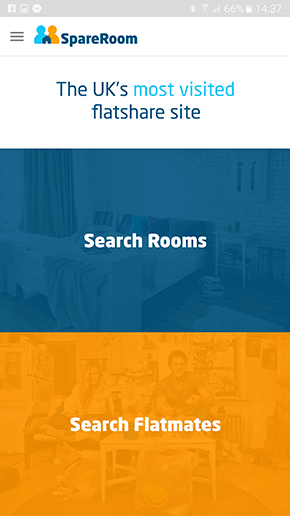 Find a flatshare or flatmate fast! 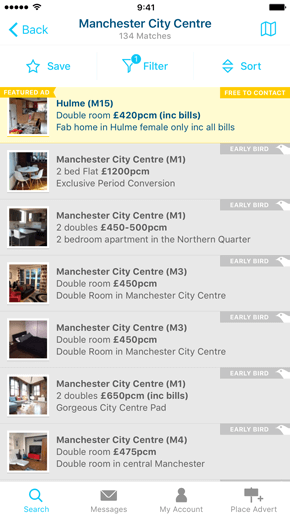 Thousands of rooms for rent in flatshares across London, Manchester, Birmingham, Bristol, Leeds, Edinburgh, Glasgow and the rest of the UK. 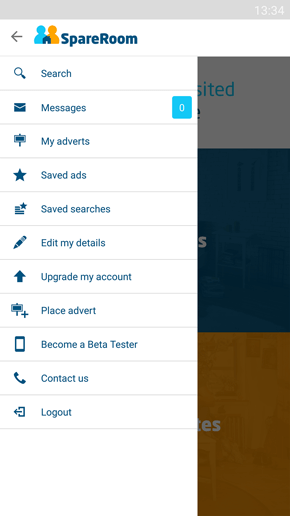 Save any advert instantly at the touch of a button. 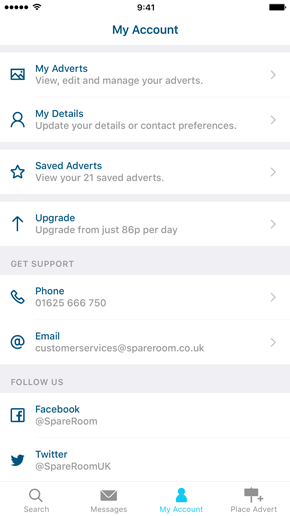 Saved adverts are synced with your SpareRoom account so you can access them anywhere. 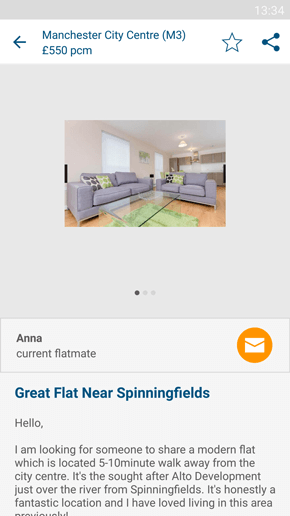 See an advert you like? 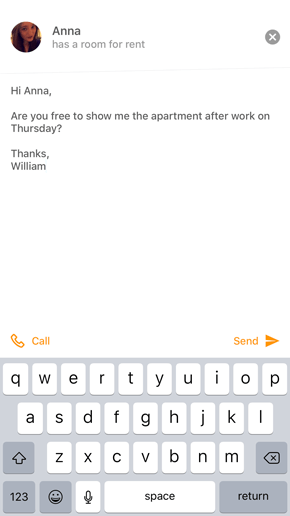 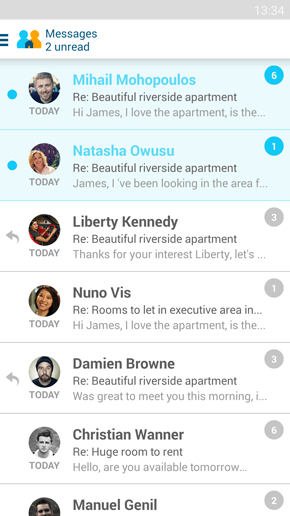 Get in touch using the integrated messaging system straight from your phone, without ever leaving the app. 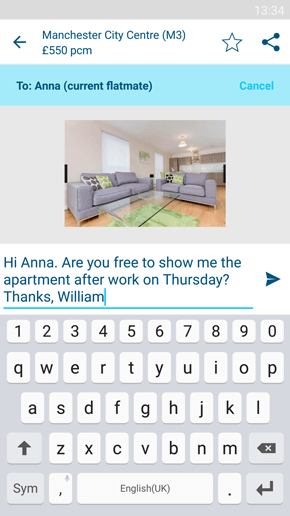 Our built in messaging system organises your inbox into conversations and notifies you when someone wants to get in touch. 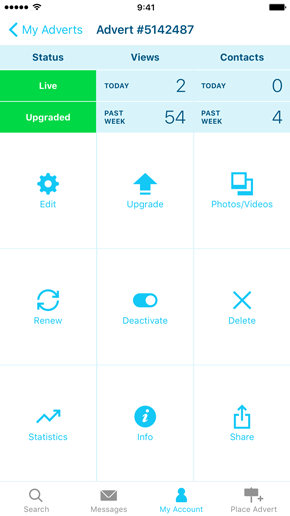 Manage and upgrade your account from inside the app and your changes will be synced with SpareRoom.co.uk. 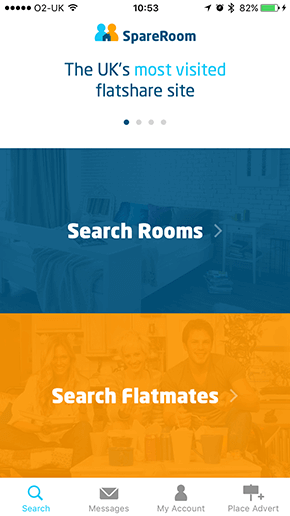 If you don't have an account you can also register from within the app. 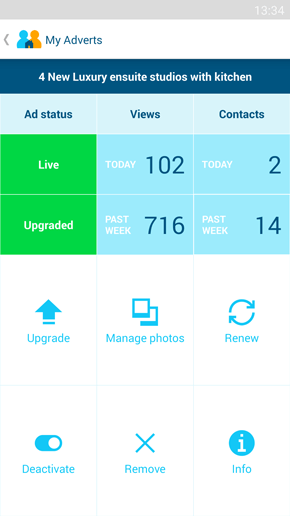 Our advert management section lets you easily renew, remove, activate or deactivate your ads on-the-go.